The Red Tree by Caitlín R. Kieran — Psychological horror. 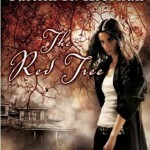 The Red Tree is about a woman called Sarah who moves to an isolated house after the suicide of her lover. We know from the opening of the book that the main character kills herself at the house, but don’t know why. The story — mostly composed of Sarah’s journal — is a slow unravelling of increasingly weird happenings. Is the evil tree of the title out to get her, or is she going mad? It’s not a story to read if you like concrete explanations, but I thought it was cleverly done, and it succeeded in creeping me out. 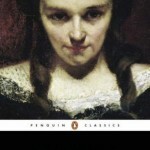 Uncle Silas by Joseph Sheridan Le Fanu — Victorian classic. I read Uncle Silas as part of the 2016 Classics Challenge, and reviewed it here. 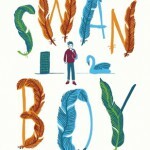 Swan Boy by Nikki Sheehan — MG magic realism, out on May 5th from Rock the Boat. Loved it! I wrote a proper review which I’ll be posting very soon, and I’m interviewing Nikki on Author Allsorts on the 6th. 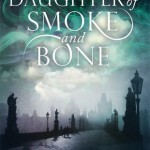 Daughter of Smoke and Bone by Laini Taylor — YA fantasy. I first ‘read’ Daughter of Smoke and Bone on audio years ago, and it didn’t do much for me. Regardless, I later picked up a copy I found in a charity shop. I decided to give the paper copy a go, mostly because I went to Prague this month and the book is set there. And you know what? Second time around, I loved it! Laini Taylor’s writing is incredibly beautiful, which I didn’t get first time around. I listen to a lot of audio, and it’s left me wondering how many other books I might feel differently about if I read on paper. Anyway, regardless, I am a Laini Taylor convert and will (finally) be continuing this series at some point. My favourite read of the month. 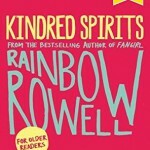 Kindred Spirits by Rainbow Rowell — YA contemporary, one of the World Book Day short stories / novellas. Very cute. 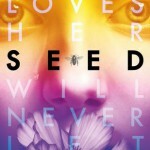 Seed by Lisa Heathfield — YA contemporary about a teenage girl who’s lived all her life in a sheltered nature cult, which is not as idyllic as she initially believes. Seed is perfectly paced, the claustrophobia and sense of impending doom building slowly. By the end, I felt breathless as I turned the pages. Really enjoyed it. Jolly Foul Play by Robin Stevens — MG historical murder mystery, fourth book in the Wells & Wong series. I’m not generally a big MG fan, but I eat these books up. 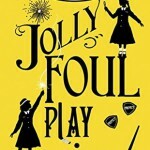 Just like the previous instalments in the series, I found Jolly Foul Play an entertaining blend of mystery (I can never guess whodunnit), humour, and warm-hearted observations. I managed to attend Robin Stevens’s Cambridge launch for Jolly Foul Play in early April, which was a treat. 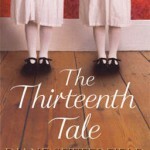 The Thirteenth Tale by Diane Setterfield — Adult mystery. I saw the TV adaptation of The Thirteenth Tale a few Christmases ago, so was intrigued to try the book. I loved it, more than I did the TV version — it’s layered and complex, brutal yet heart-warming. A Song for Ella Grey by David Almond — YA retelling of the Orpheus and Eurydice myth. 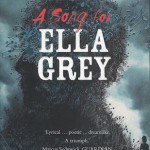 A Song for Ella Grey was nominated for last year’s YA Book Prize, so I picked it up when I saw it in the library. It has mixed reviews on Goodreads, and I can see why — it’s very literary, lyrical, odd, and slow paced. The writing is beautiful, but it wasn’t for me. Tales of Terror from the Tunnel’s Mouth by Chris Priestley — YA historical horror. I’m a big Chris Priestley fan. 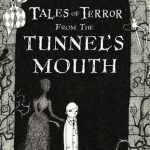 Tales of Terror from the Tunnel’s Mouth follows a similar pattern to Uncle Montague’s Tales of Terror: short M.R. James-esque stories framed by an overall plot. Tunnel’s Mouth is grisly fun, though Uncle Montague is still my favourite. 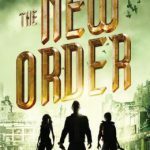 The New Order by Chris Weitz — YA dystopia, book two of The Young World trilogy. Not as action-packed as book one, and definitely feels like a middle book. But it kept me entertained — Weitz is great at voice, and his multiple narrators feel differentiated and real. 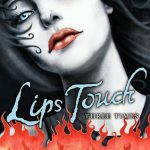 Lips Touch: Three Times by Laini Taylor — YA fantasy, three short stories in one volume. Beautifully written. 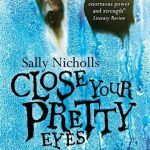 Close Your Pretty Eyes by Sally Nicholls — YA contemporary / paranormal. Close Your Pretty Eyes follows troubled eleven-year-old Olivia as she moves from foster family to foster family after an awful start in life with her mum. It wasn’t the full-on ghost story I was expecting from the cover — it really is more of a contemporary novel, with the paranormal elements serving to highlight Olivia’s difficulties letting go of her past. Olivia can be horrible and violent, but Sally Nicholls does such a good job of expressing why she acts the way she does. An original and important book. I’ve also been reading a H.P. Lovecraft collection for my April #2016ClassicsChallenge book. I’m not loving it so far — the first story put me off quite a lot. I don’t want to give up on it though, so I’m cheating on the Classics Challenge and making it my May book too.